So we have reached week 6 of the excellent Great British Bake Off which means it is the sixth week of our Great Bloggers Bake Off!!! We had some more truly amazing bakesagain last week and so many inspiring recipes for people to try. Seriously, the efforts you are all putting in is fantastic and thank you for supporting this linky . 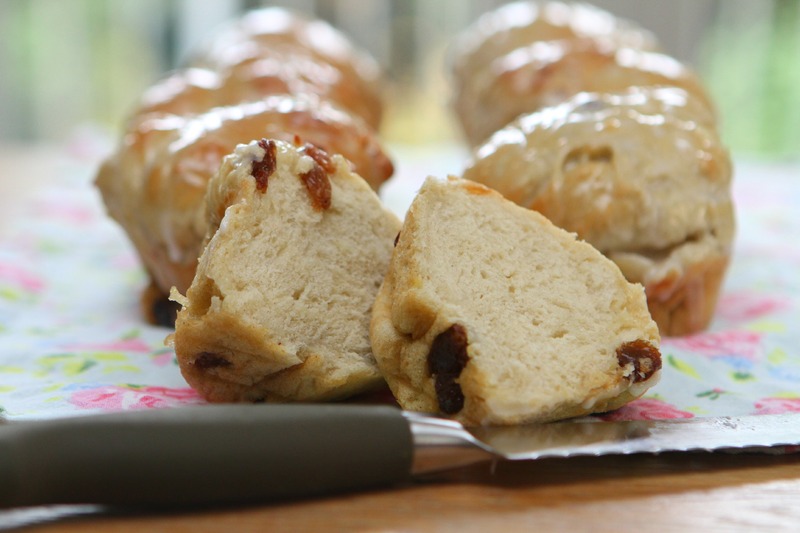 So back to this weeks Great British Bake Off – it was all about Sweet Dough. I loved the look of Howard’s Peachy Buns (shame they were bland though) and the inside of Becca’s Chai Tea Big Bun looked really nice too. And well done to all the contestants on those Twisted Couronnes – they looked delicious! We will leave it up to you with your interpretation of what your bake can be from these !! Then lightly grease a bowl with oil, place the kneaded dough inside and ensure it has been moved around so it is encased in oil. Grease a muffin tray and 2 holes in another (mine was a large muffin hole tray which has 6 holes in each) with a little oil, and divide the fruit dough into 8 balls and place inside each muffin hole. 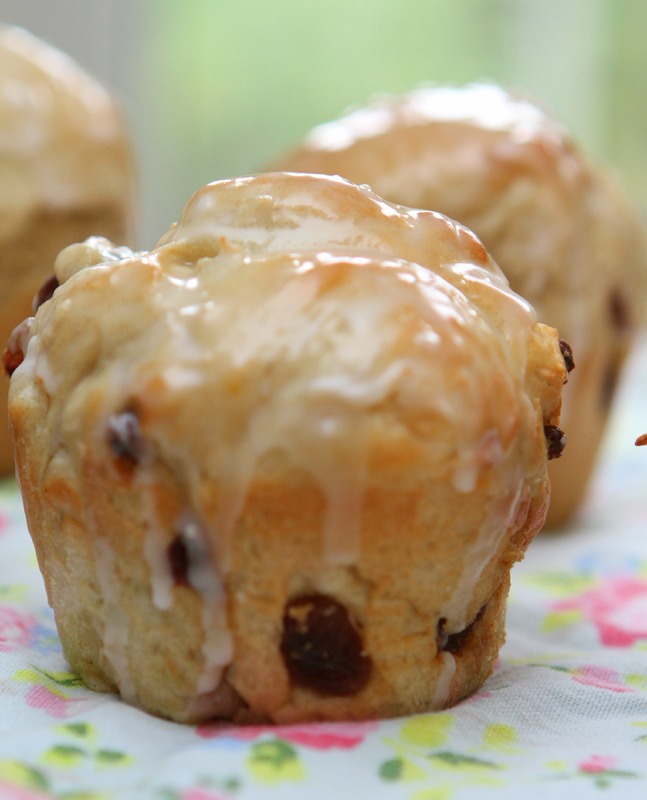 Allow to cool completely before carefully removing from the tins and allow to cool completely before adding your icing! 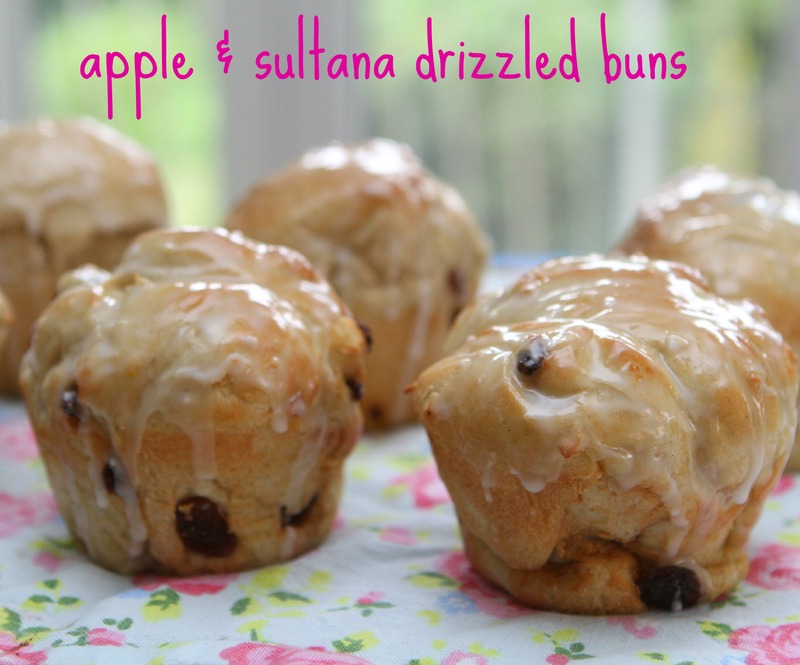 MIne is more of a drizzle - but I think maybe my buns were not cooled down enough! Now it is your turn to show us yer buns (pnar pnar) !! ooh yum! fabulous looking buns there missus! *licks the screen* my, my… these look sooo delicious! I’m so into apple flavour anything at the moment. Oooh, they look lovely, really like the look of the drizzled icing! Oooh, I like that you can do these in a muffin tin, saves worrying too much about shaping them. They look tasty, especially with the icing. Mmmmmmmm. OM NOM NOM NOM! Yes please! Those look amazing. This has been my favourite week, this week, I love buns! These look really scrumptious!! I need more apple recipes for my never ending apple tree supply!! Wow! Just wow! I am so going to have to make these this week, I think!